The Daruma is considered in Japan as a sacred figurine with the mystical power to make wishes or achieve a goal that is dear to us. The first Darumas were created in the 18th century by one of the monks of the Shorinzan time for his followers to relieve them from their misery. 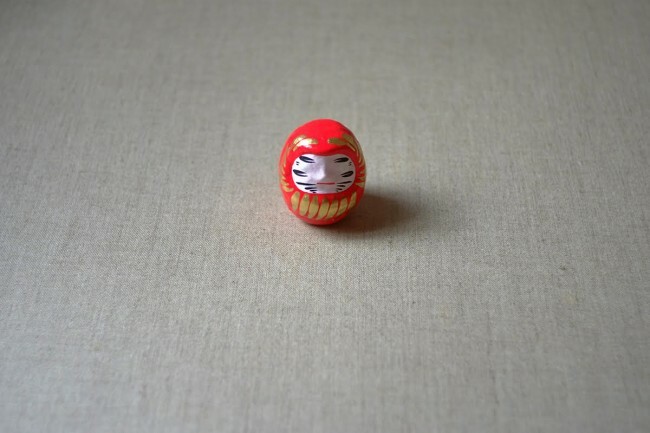 Today, the Daruma is known and recognized as a symbol of perseverance. It is customary to draw, in black ink, one of the two pupils by formulating a wish and draw the other eye when the wish is realized.